Daraz Bangladesh is hosting a week long online celebration for Infinix on the occasion of their anniversary. The celebration starting on 4th May will go on till 10th May. During this period, there is an amazing discount on their flagship phone- Note3, applicable only on purchase from daraz.com.bd. At 4,000 Taka discount, the anniversary campaign price for Note3 is 12,990 Taka. Dhaka residents should be double excited because the delivery will be done within 24 hours of ordering the product from Daraz. Moreover, EMI is applicable for AMEX cardholders. Infinix Note3 has a 6 inch full HD screen, with 13 mega pixel back and 5 mega pixel front camera and the latest 6.0 android operating system. With a 2 GB RAM and 16GB ROM, this phone can ensure 3 hours of talk time at just 5 minutes of charging. It provides freeze application feature, which helps the user to keep unused applications without uninstalling even when the memory space is running low. 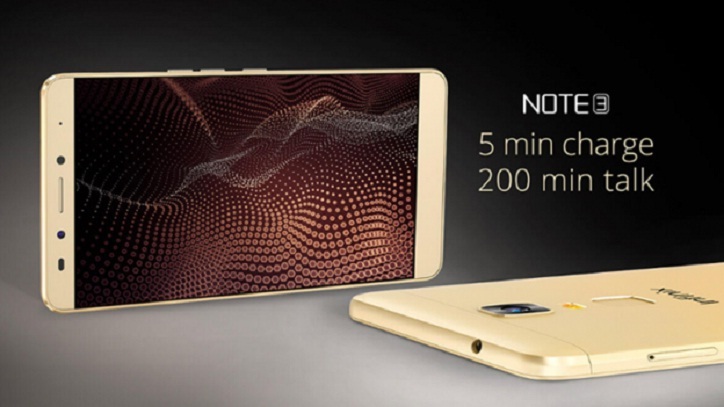 Sleek metal body of Infinix Note3 gives a classy look and it has aerospace cooling technology. As a result, this phone never heats up. Infinix is also providing screen replacement warranty for 100 days along with brand warranty of 365 days. On the occasion, Daraz Bangladesh Ltd. is inviting everyone to daraz.com.bd platform to participate in the celebration of Infinix anniversary and grab the opportunity to get Infinix Note3 at the discounted rate of BDT 12,990. Apart from the Infinix anniversary campaign, daraz.com.bd regularly hosts various campaigns and flash sales from where a customer can get a variety of products ranging from electronics, home appliances to kid’s items. With the easy return policy and customer protection policy, the shopping experience with Daraz Bangladesh becomes enjoyable.